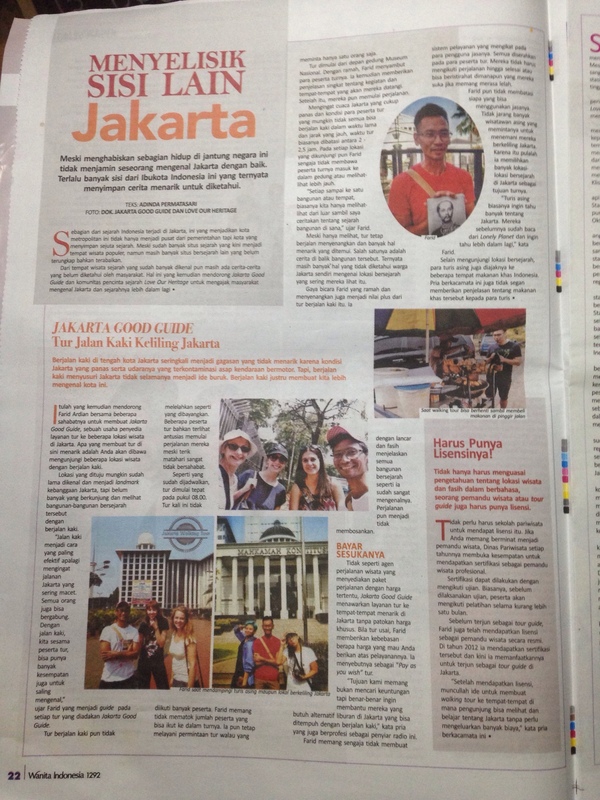 Articles covered by medias about Jakarta Good Guide or Jakarta Walking Tour. Thank you Media Indonesia for featuring us on the Food Tour article. 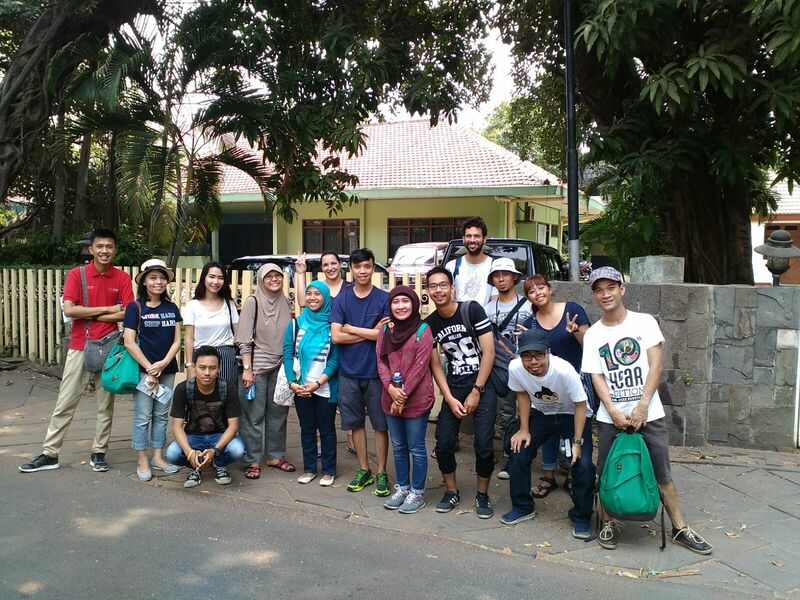 Twenty-four-year-old Desy Setyo raptly listened to guide Candha Adwitiyo as the latter briefed her group on the historic buildings they were set to visit over the course of a two-hour walking tour in Cikini, Central Jakarta. The private-sector employee said she had joined the tour because she loved history, adding that she planned to visit other historic parts of the city to gain further insight. Another participant in the recent tour, Diana Simorang, 29, said she had been unaware that many important national events had occurred in Cikini. “I’m a Jakartan, but I knew very little about this area,” she said. The tour began at an old white building called the Joang 45 Museum —joang is an old spelling of juang, which means “struggle”— on Jl. Menteng Raya. Candha said the building initially served as a hotel in the 1920s, before being used to house Indonesian students when Japanese troops occupied what was then Batavia in the 1940s. “Japan housed young Indonesians to indoctrinate them with the idea that Japan was the right leader for Asia,” Candha explained. Some youths housed in the hotel were immune to the propaganda, though, and secretly gathered the other youths to teach them about political movements, thus conceiving the plan for the declaration of Indonesian independence, said Candha. “This museum plays a significant role in our independence,” he said. The guide then invited the group to visit an old post office on Jl. Cikini Raya, around five minutes’ walk from the museum. The group lingered a while at the European-style post office. Candha told each of the participants to send a postcard to anyone they wanted to “experience the sensation of sending physical letters”. Another couple of minutes’ walk and into the tourists’ sight came the Cikini Teachers’ Foundation schools complex where, the guide said, all of first president Sukarno’s children had studied, and where an attempt to assassinate Sukarno had been made. In the complex, in November 1957, a man threw five grenades, one of which did not explode, toward Sukarno. According to Candha, the grenades failed to kill the president because he was protected by his security guards, but the explosion did kill nine students and a pregnant woman and injured 50 others. Before ending the tour, Candha took the group to Jl. Surabaya, located not far from the schools complex, inviting the group to browse the vintage items on sale there. The tour was organized by the Jakarta Good Guide and is one route among many, including Menteng and Pasar Baru in Central Jakarta. To book a tour, participants can contact jakartagoodguide@gmail.com. The tour is free but donations are welcome. Thank you Go Girl magazine for featuring us on their magazine on “Local News” section this month (December). Jakarta Walking Tour participants in front of the residence of Indonesia’s former president, Suharto. JAKARTA, KOMPAS.com – “Jakarta bukan hanya mal”. Itu slogan pertama yang diucapkan Candha saat mengumpulkan para peserta “Menteng Walking Tour” di Taman Suropati, Menteng, Minggu (18/10/2015). Candha adalah satu dari lima pemandu yang tergabung dalam Jakarta Good Guide, sebuah perkumpulan yang ingin memperkenalkan “sisi historis” Jakarta pada masyarakatnya. Ada banyak peserta yang datang, sebagian besar dari Jakarta dan Bekasi. “Kita mau minimal orang Jakarta tahu lah tentang Jakarta, nggak cuma mal saja,” terang Candha. Keliling Jakarta tak harus selalu naik kendaraan. Wisata ke tempat bersejarah di ibukota dengan jalan kaki pun tak kalah seru, apalagi ditemani pemandu yang informatif. Jakarta Good Guide menyediakan pilihan tur jalan kaki dan tur privat untuk keliling berbagai tempat bersejarah di ibukota. Tur ini baru didirikan sejak 2014 oleh 2 pria yang peduli dengan pariwisata Jakarta, yaitu Pracandha Adwityo dan Farid Mardhiyanto. Salah satu tujuannya adalah untuk menunjukkan kalau Jakarta menyimpan banyak cerita. Jakarta mempunyai banyak bangunan yang sarat dengan sejarah bangsa, serta asyik untuk dijelajahi. 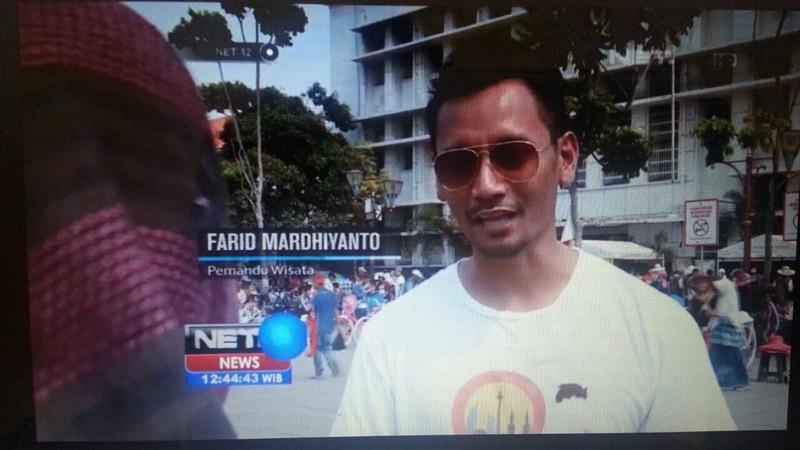 Jakarta Walking Tour on NET12. To celebrate Jakarta’s 488th Anniversary, National TV station, NET made a coverage on how to explore Jakarta with its history. We’re honoured to be featured on one of the coverage.